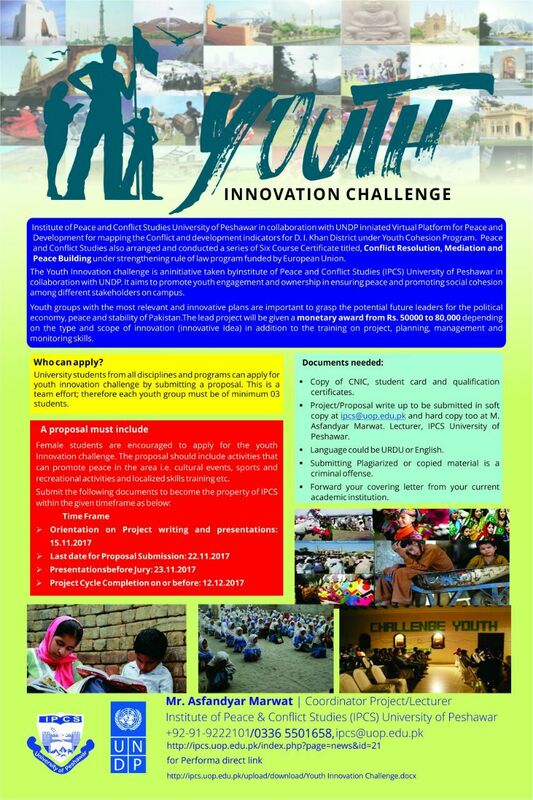 Proposals are invited from the existing enrolled students of the University of Peshawar on innovative projects. 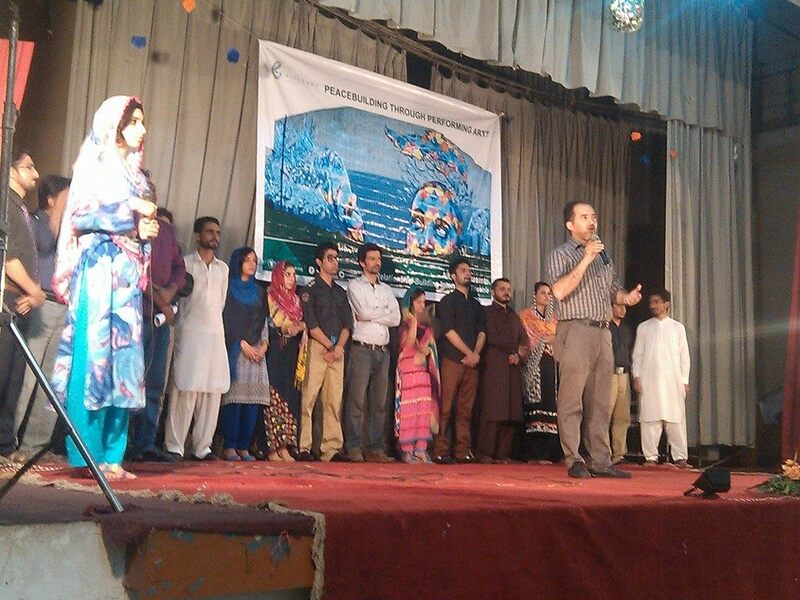 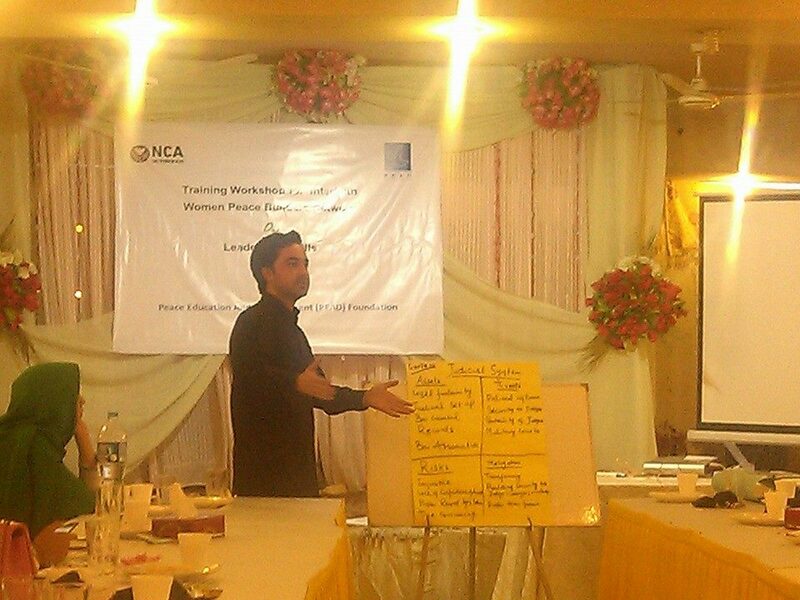 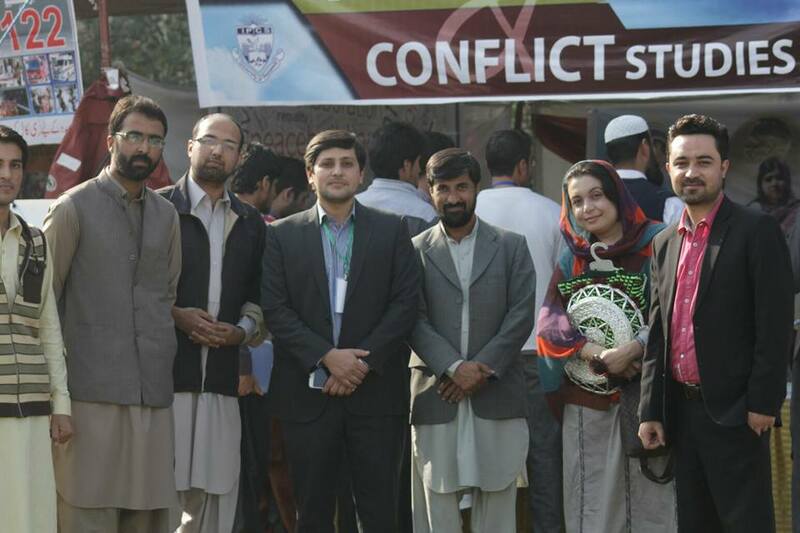 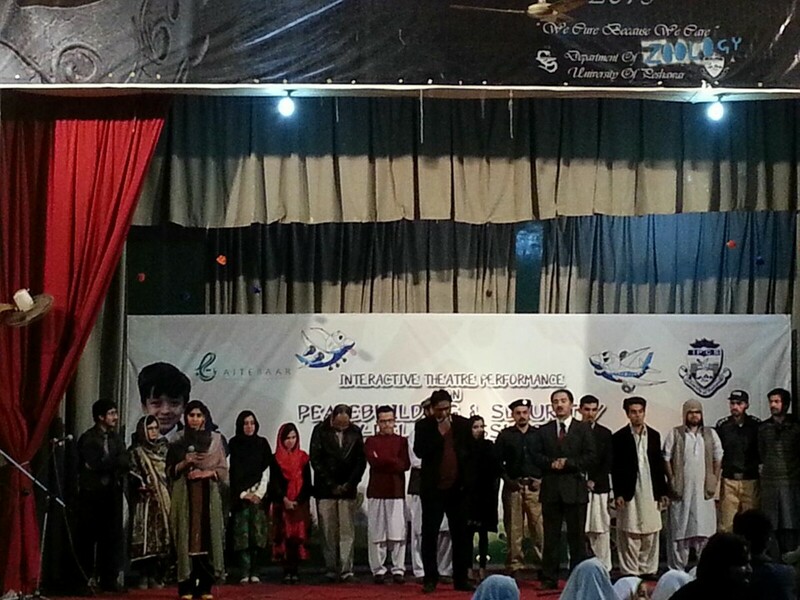 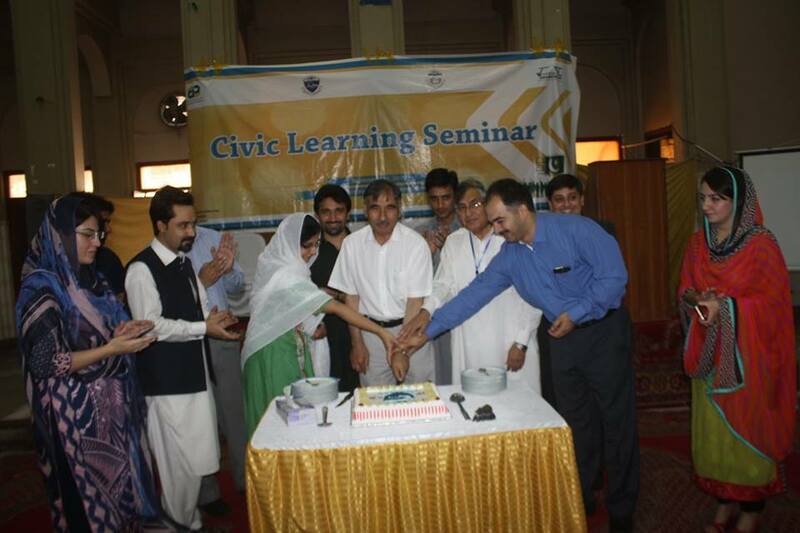 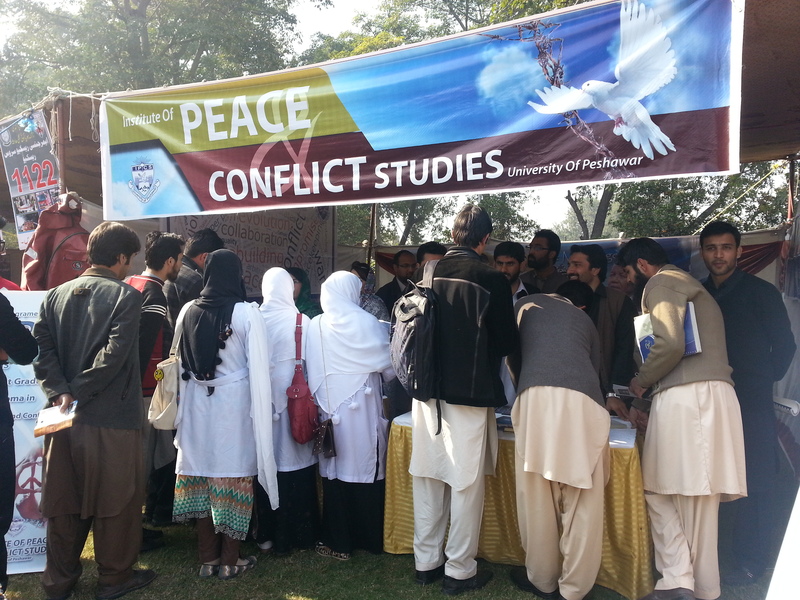 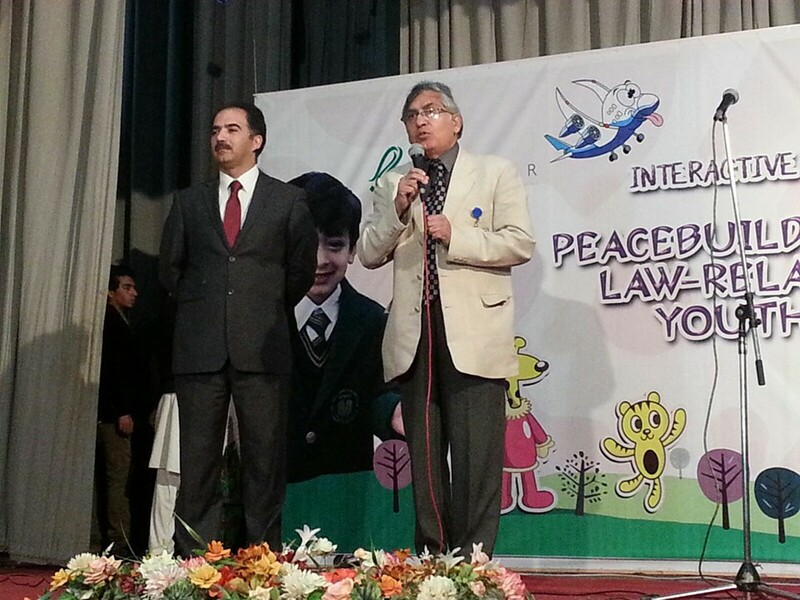 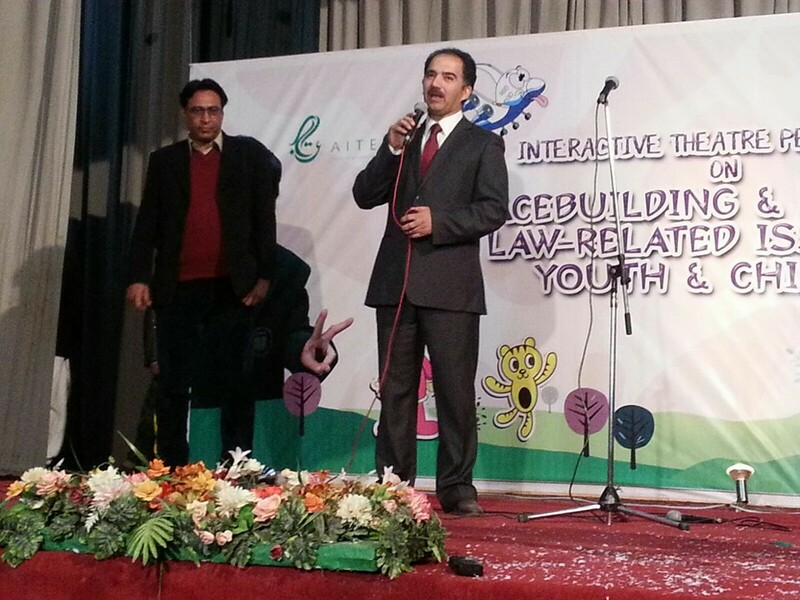 Interactive Theater Performance on Peace Building and Security/Law-Related Issues of Youth and Children on 17th December 2015 arranged by Institute of Peace and Conflict Studies and Aateebar Programme. 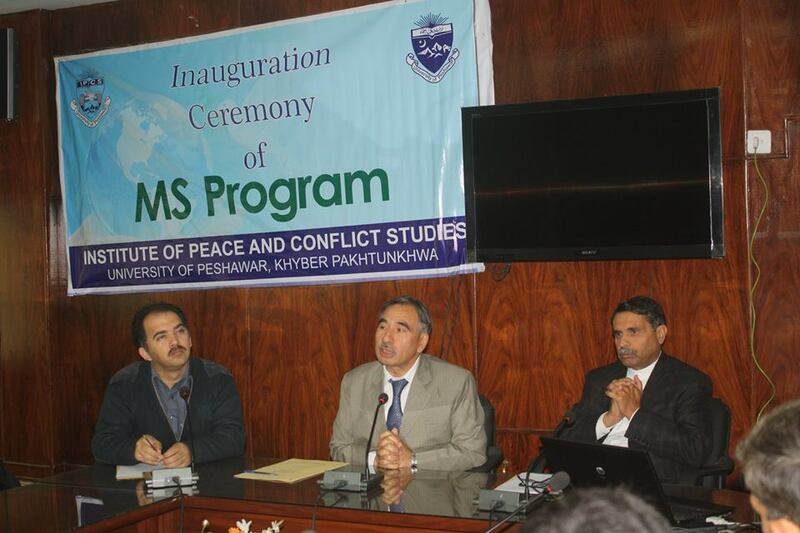 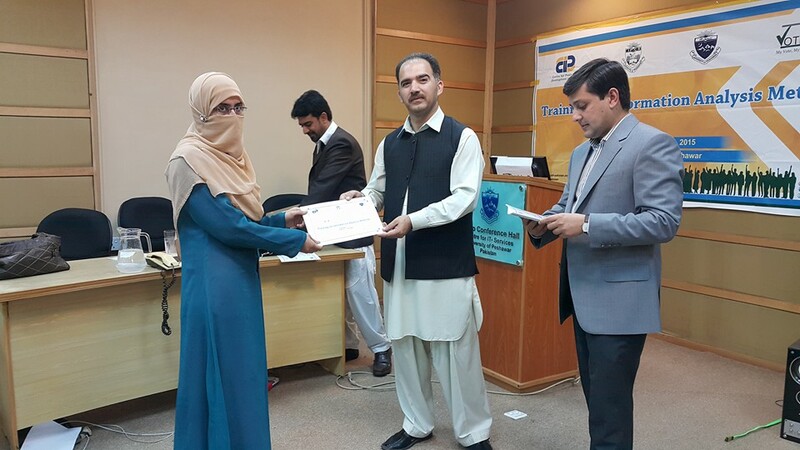 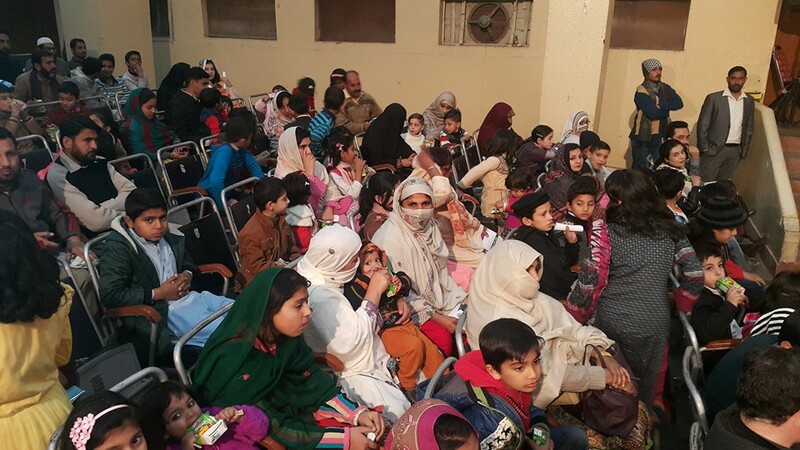 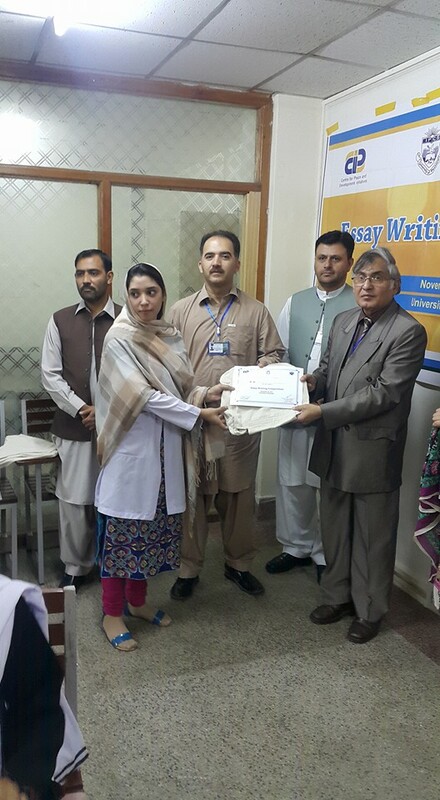 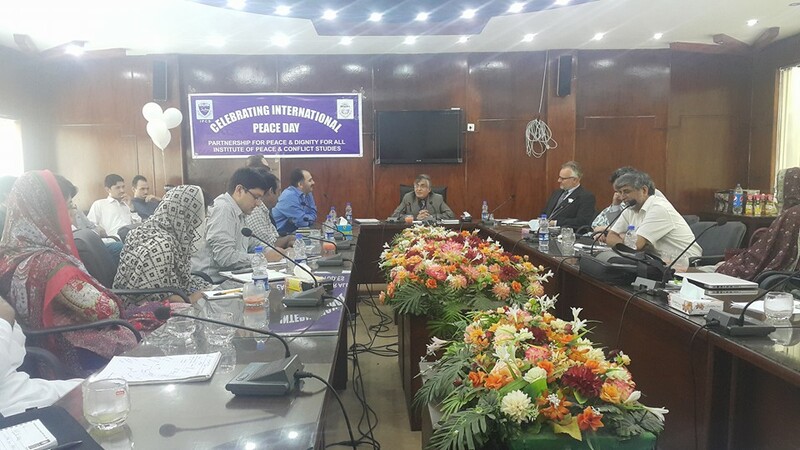 Institute of Peace and Conflict Studies (IPCS) in collaboration with Peace Education and Development (PEAD) foundation organized a seminar titled, �Khawateen Aaman Ittehad� on Monday 14th December, 2015. 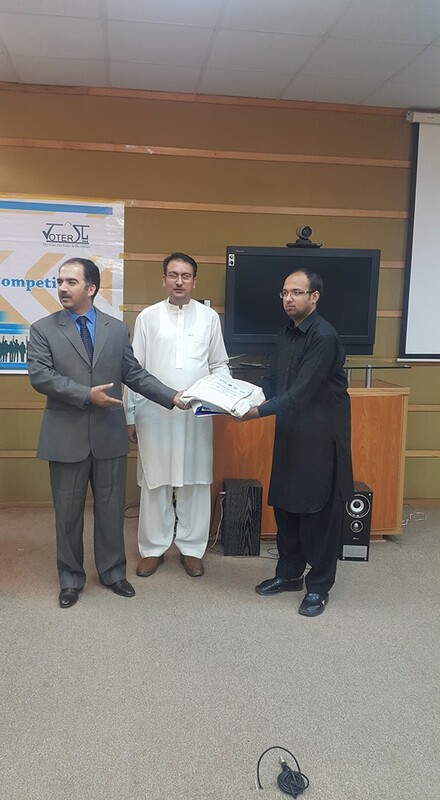 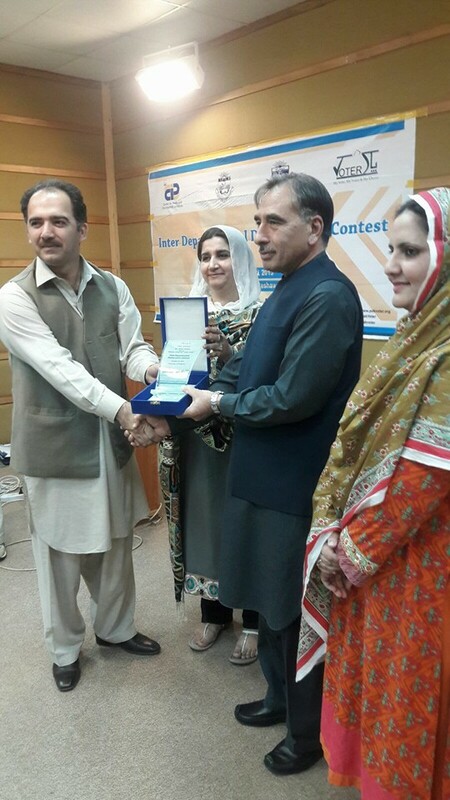 Institute of Peace and Conflict Studies hosted inter-departmental Quiz contest in collaboration with Centre of Peace and Development Initiatives. 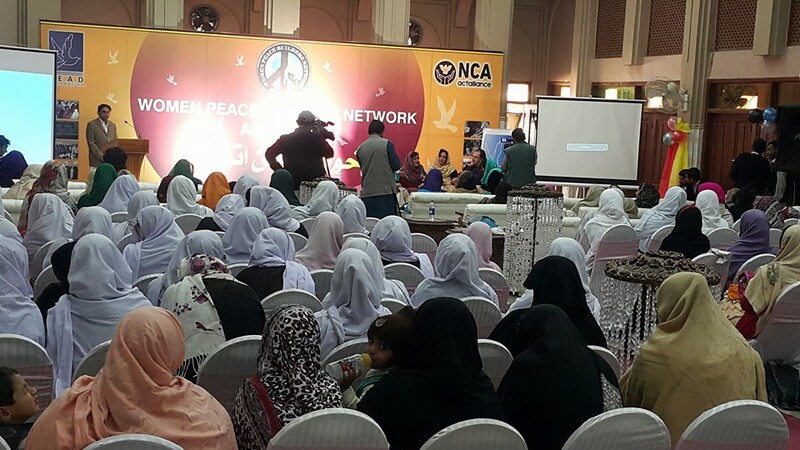 The event is scheduled on 26th October, 2915 from 9.00 am to 12.00pm at Video Conference Hall. 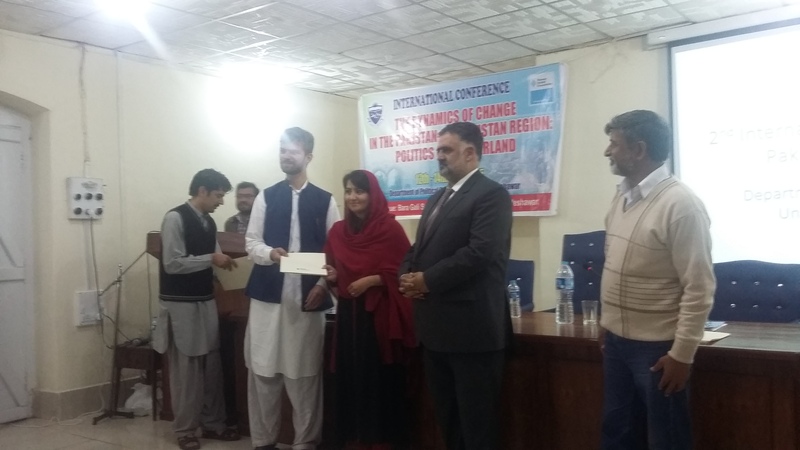 Institute of Peace and Conflict Studies hosted inter-departmental declamation contest in collaboration with Centre of Peace and Development Initiatives. 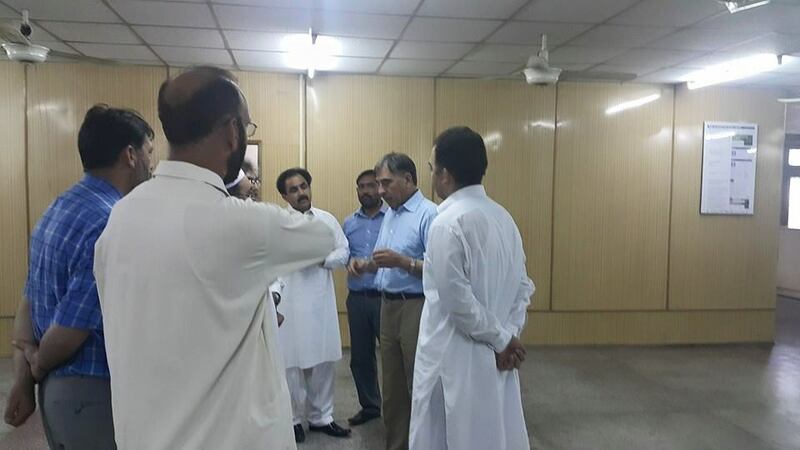 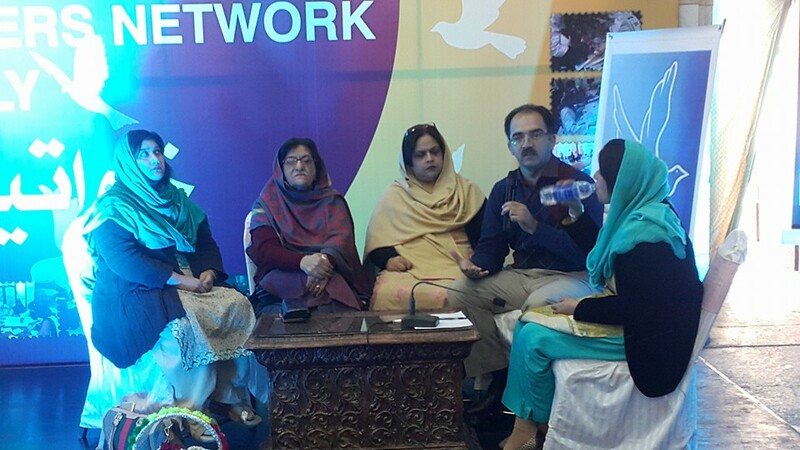 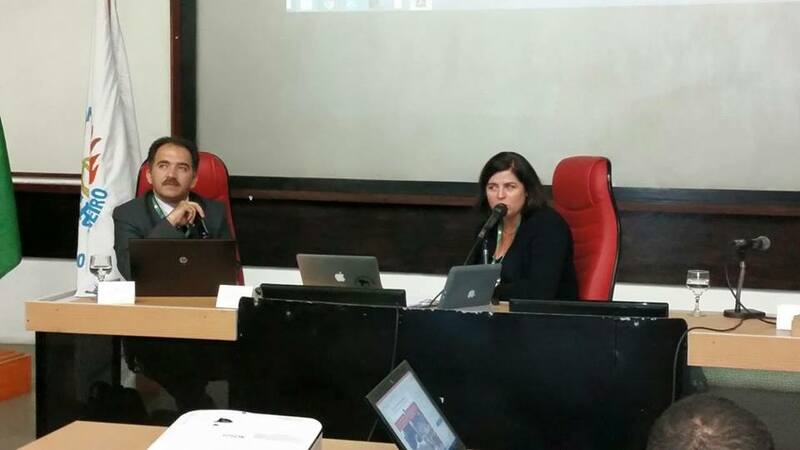 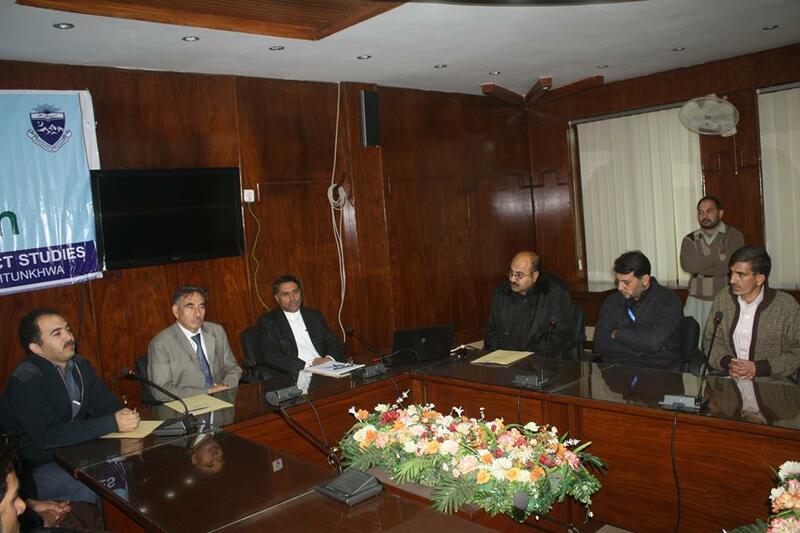 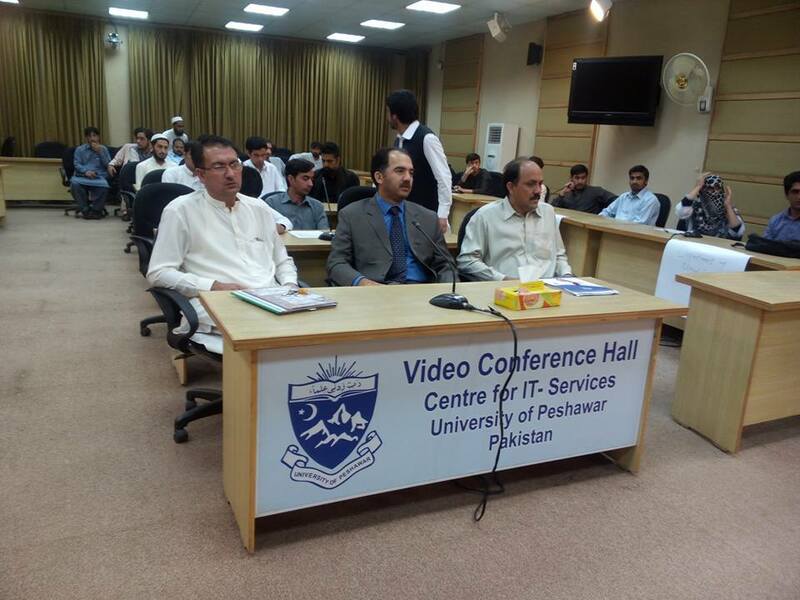 The event was scheduled on 27th October, 2915 from 9.00 am to 12.00pm at Video Conference Hall. 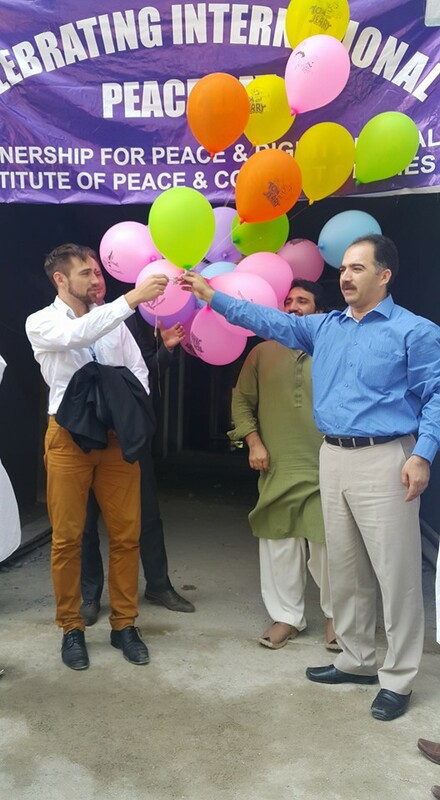 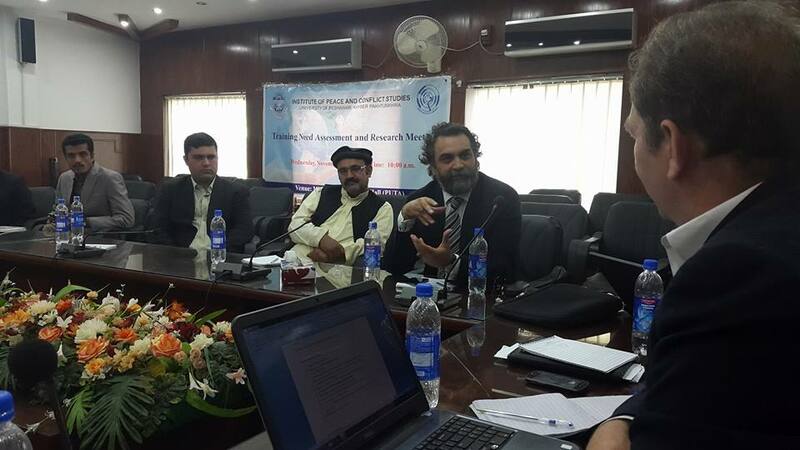 Institute of Peace and Conflict Studies celebrated international peace day and arranged an international conference at Rashed memorial Hall on 21st September, chaired by Prof. Dr. Adnan Sarwar Khna Dean, Faculty of Social Sciences, UoP. 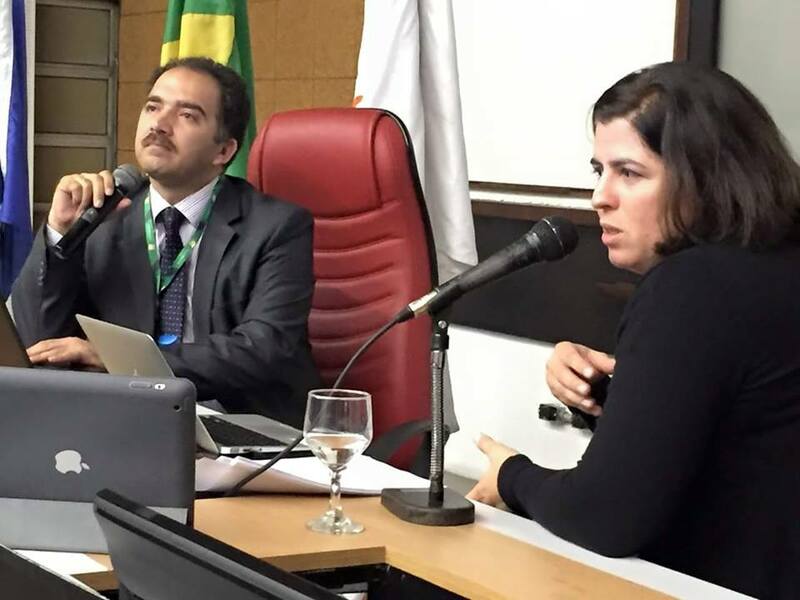 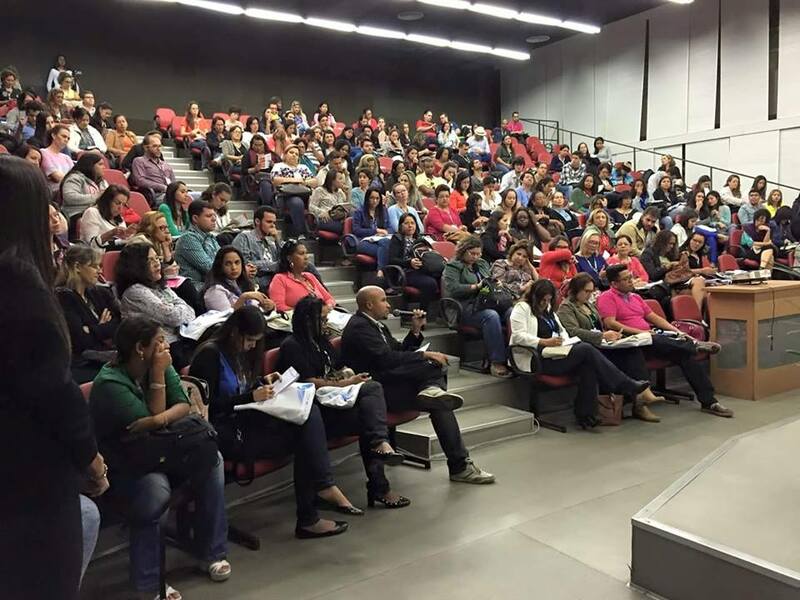 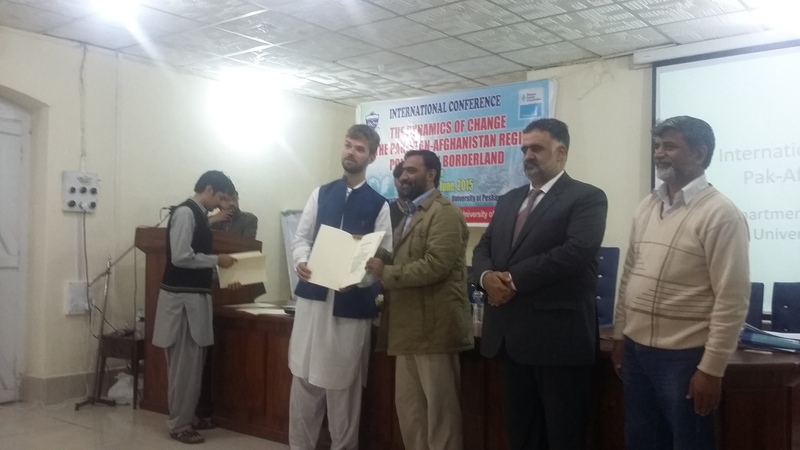 Director and Faculty members of IPCS, chairpersons Political Science Department and Journalism and Mass Communication, Faculty members and students of Political Science Department and Guests from PRIO Norway and UNDP, attended the conference. 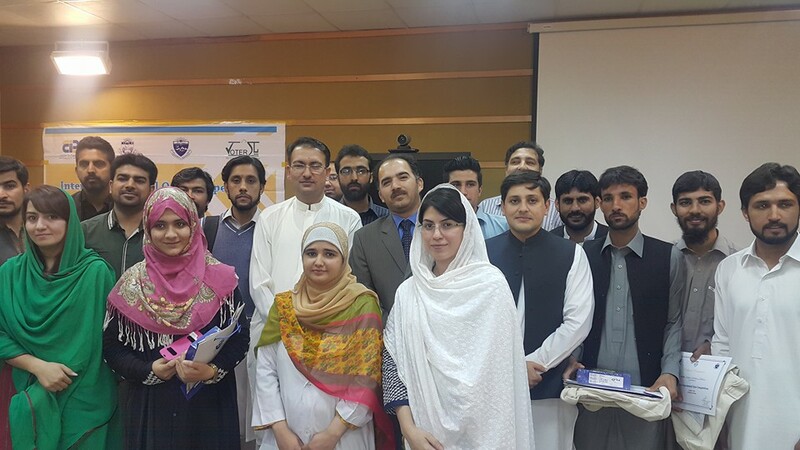 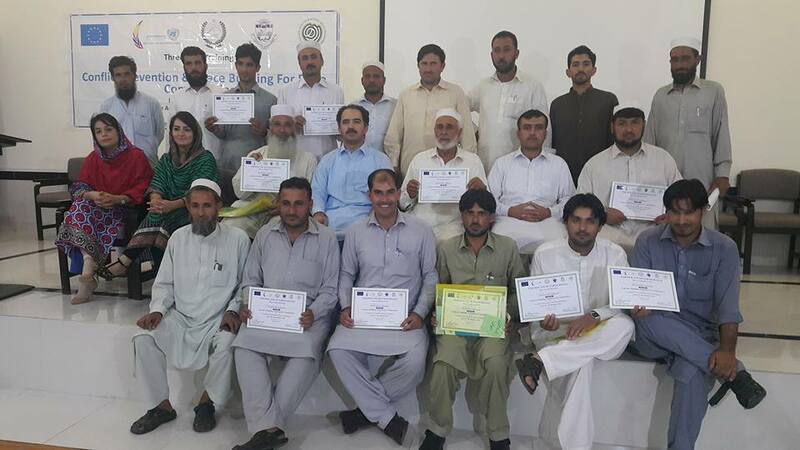 Faculty members of IPCS Ms. Rabia Fayyaz, Mr. Bilal Shaukat and a MS scholar Mr. Arshid Ali attended 2nd International Summer School entitled "Governance, Conflict and Peace-building in the Pak-Afghan Region" from 1 June to 15 June organized by the Department of Political Science, University of Peshawar in the collaboration with Hanns Seidel Foundation, Islamabad. 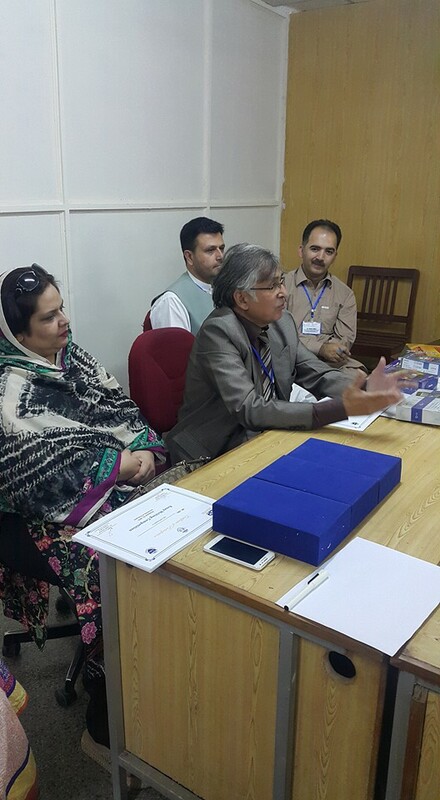 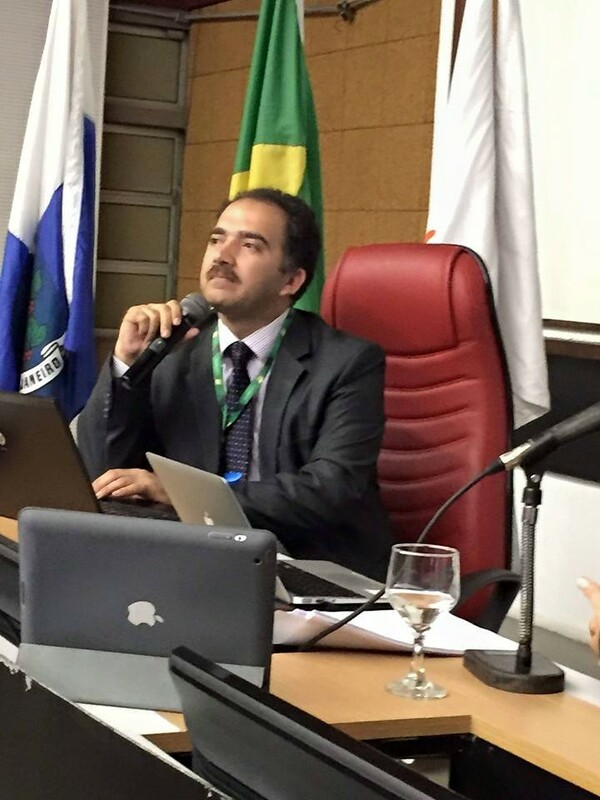 Dr. Jamil Ahmad is presenting his research paper titled "Structure of Violence in Pakistani Schools: A gender Based Analysis" in the 4th International Conference on Education. 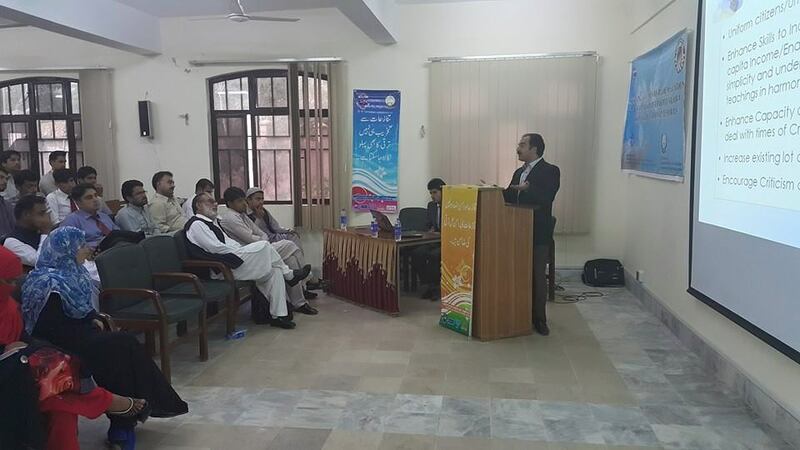 The session is titled "Schools in the World". 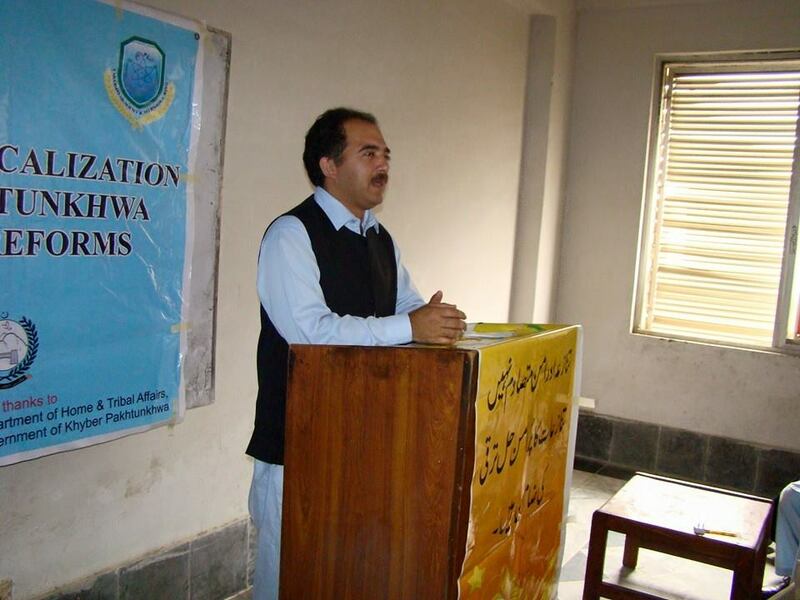 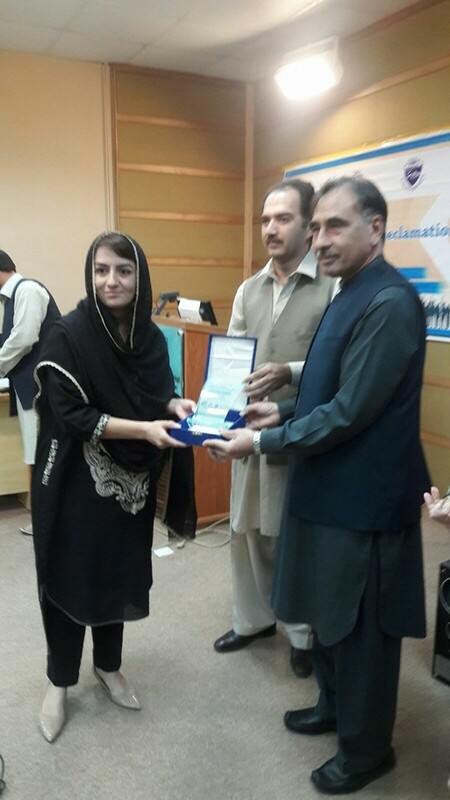 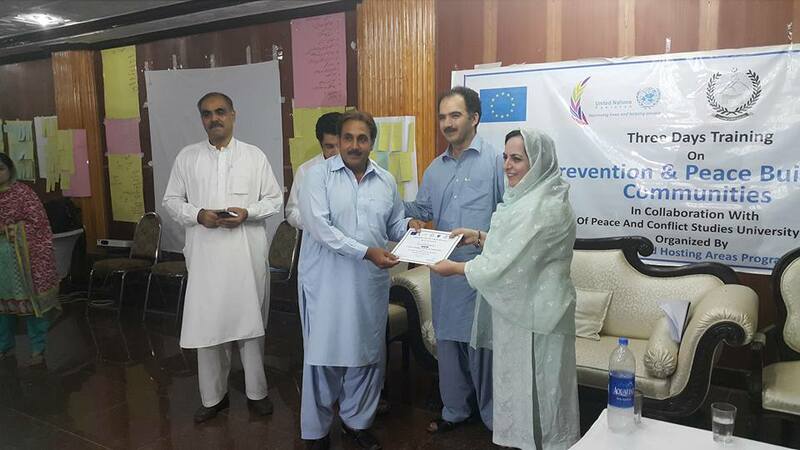 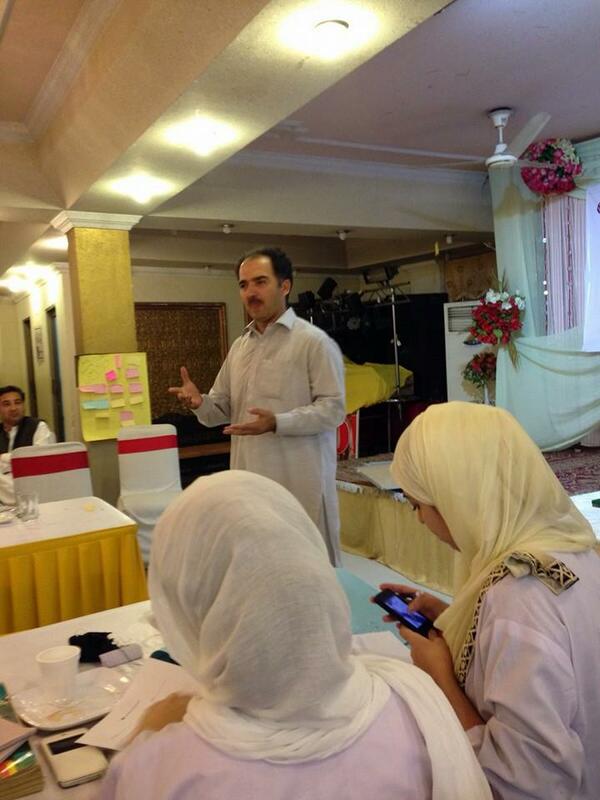 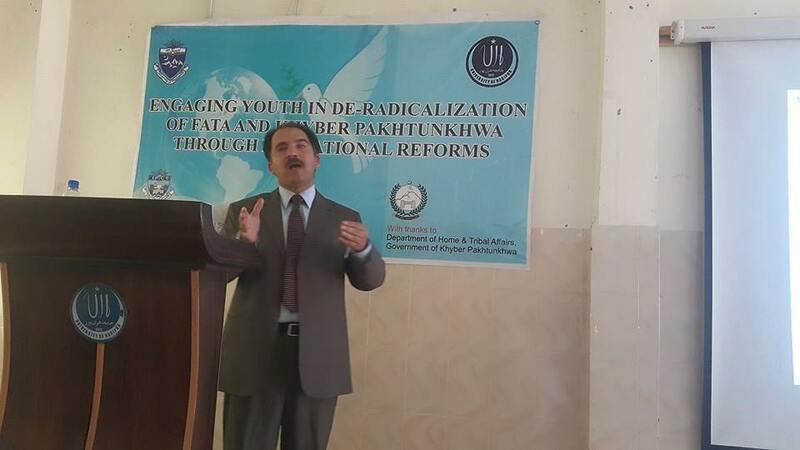 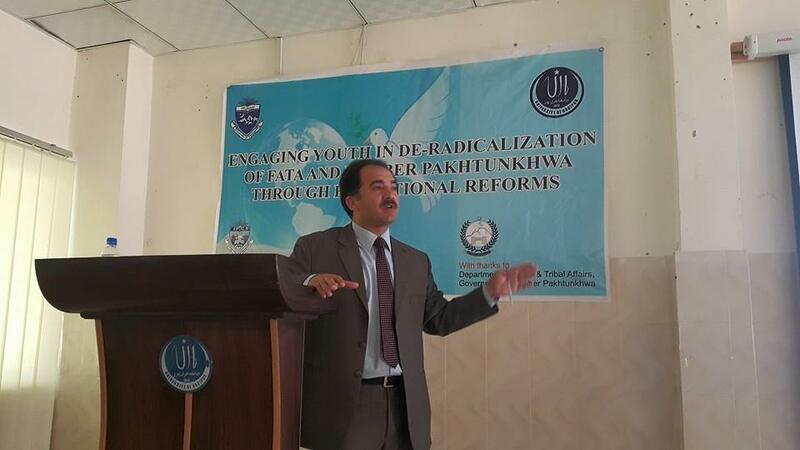 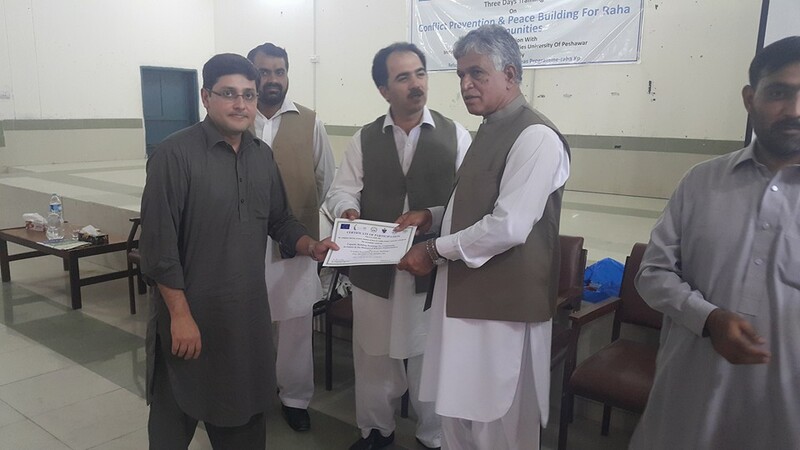 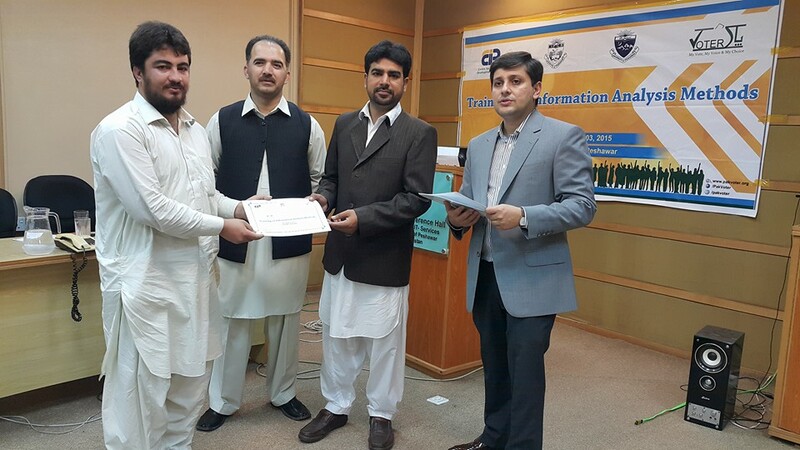 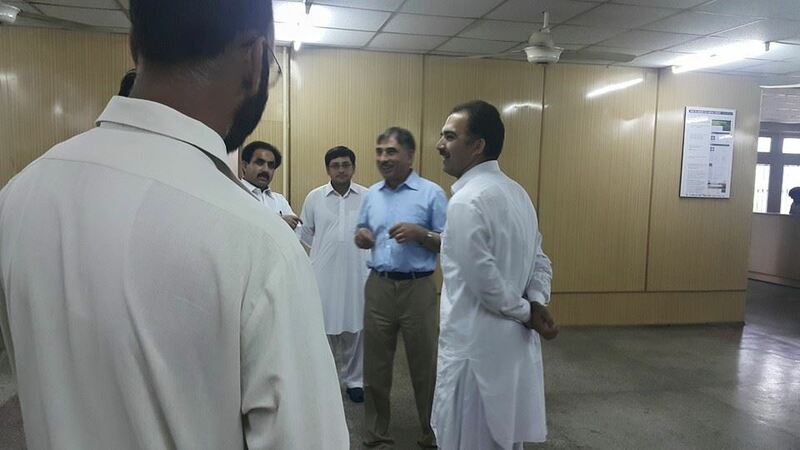 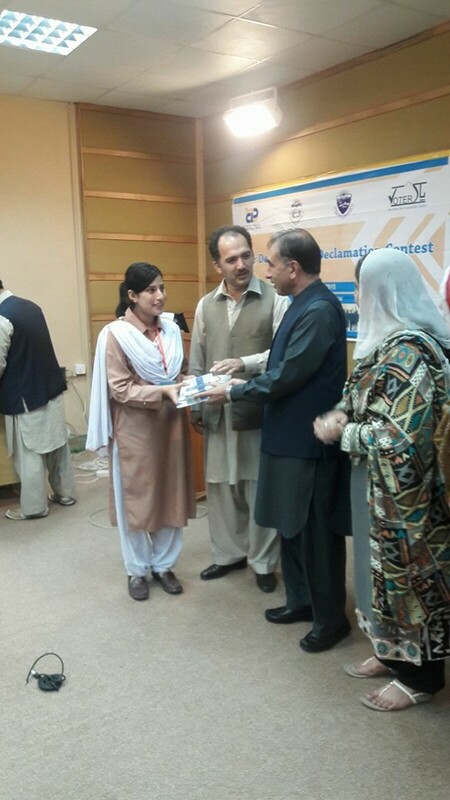 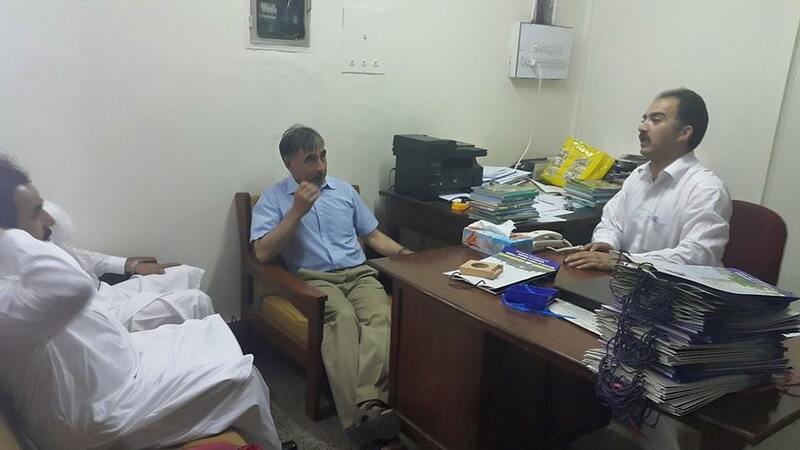 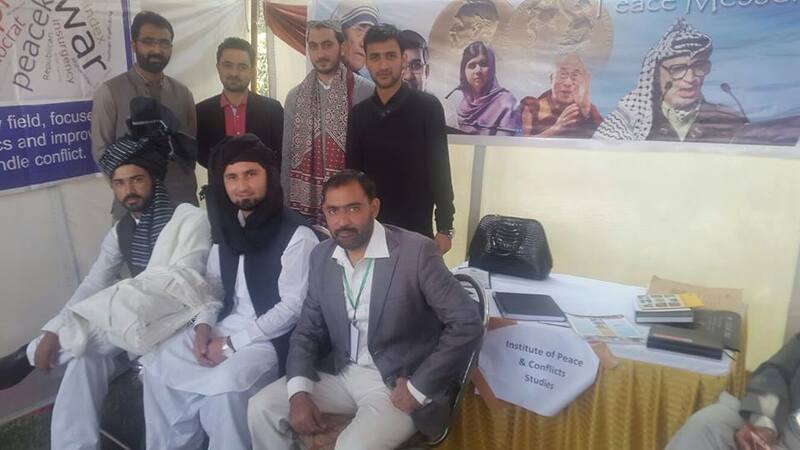 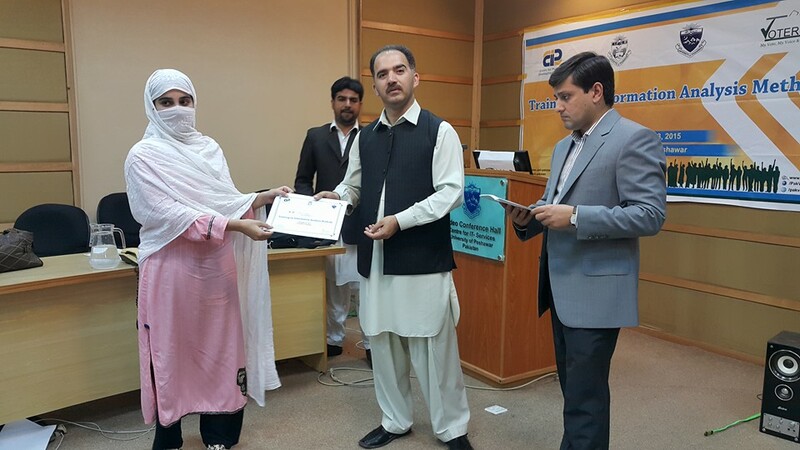 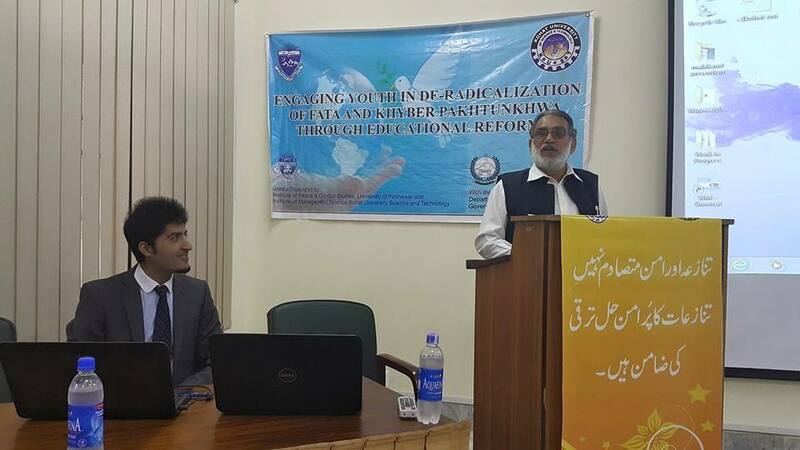 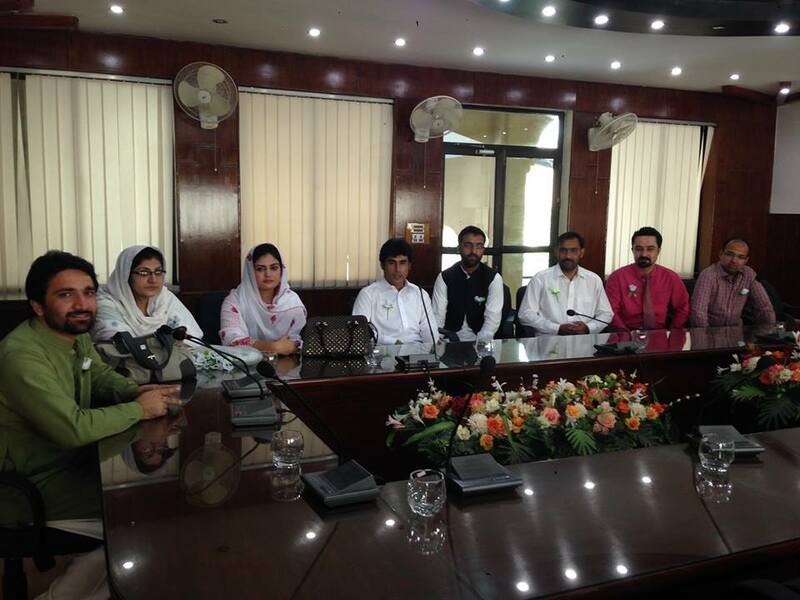 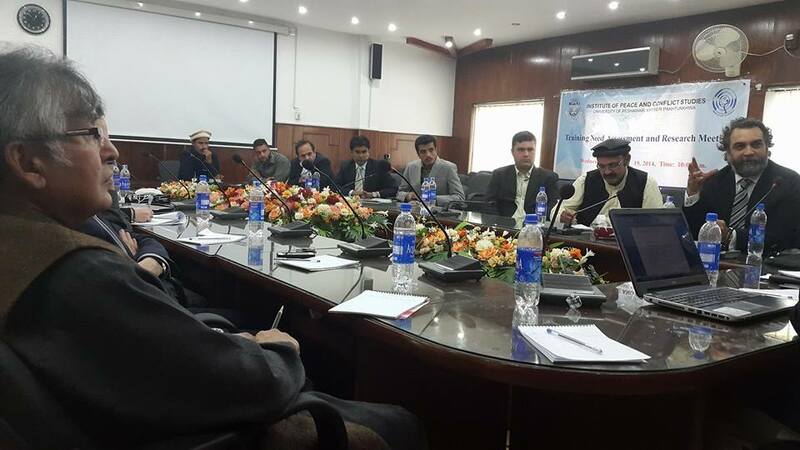 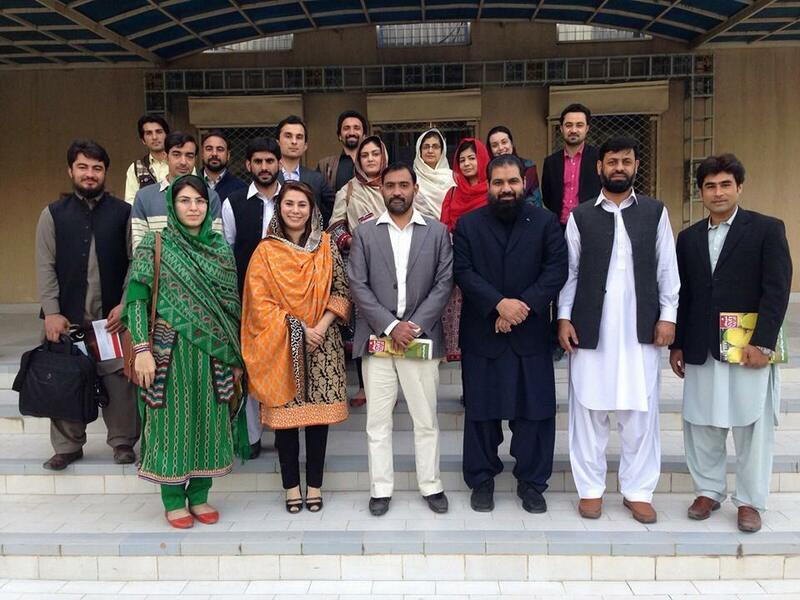 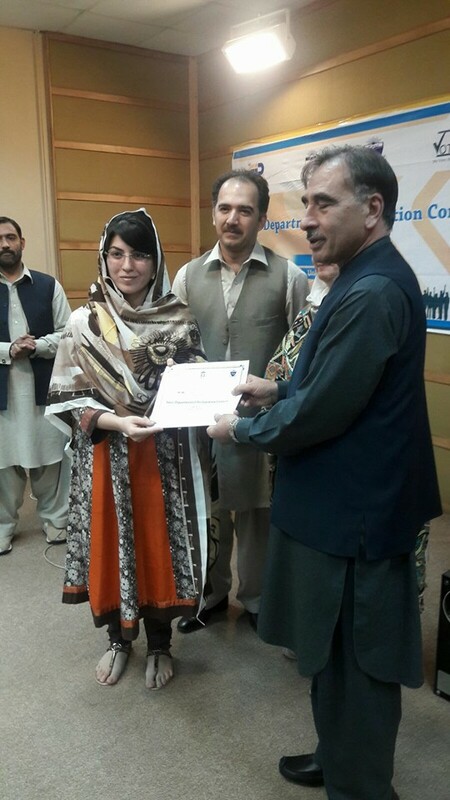 Engaging Youth in De-Radicalization of FATA and Khyber Pakhtunkhwa through educational reforms. 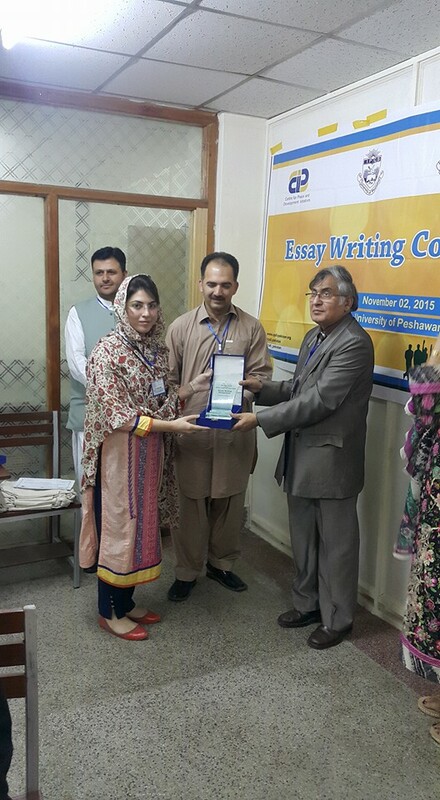 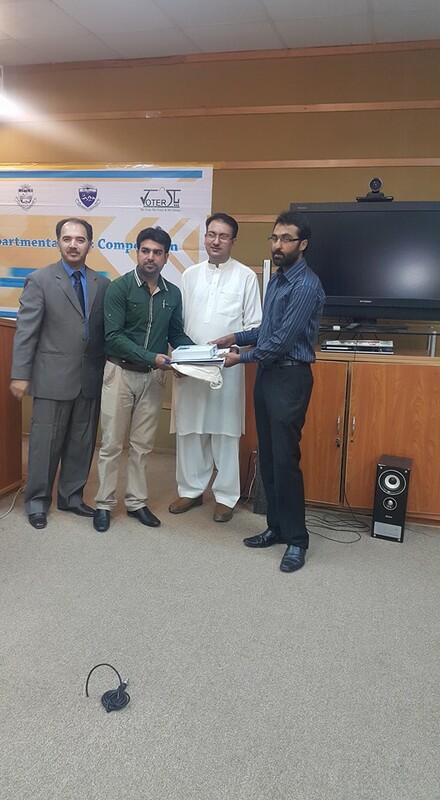 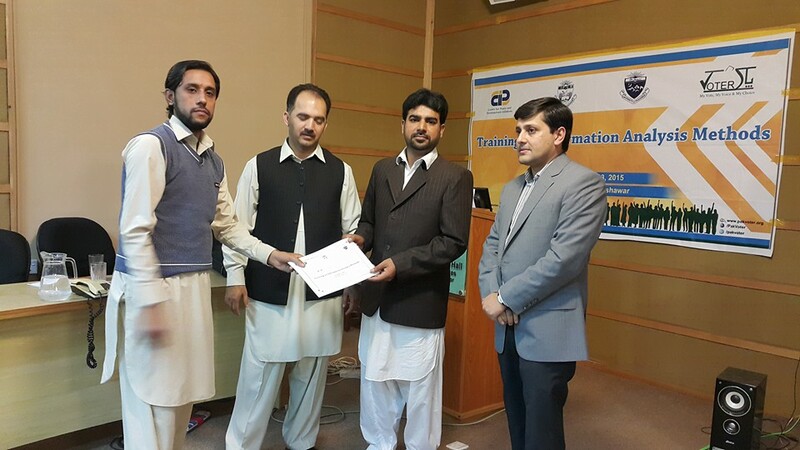 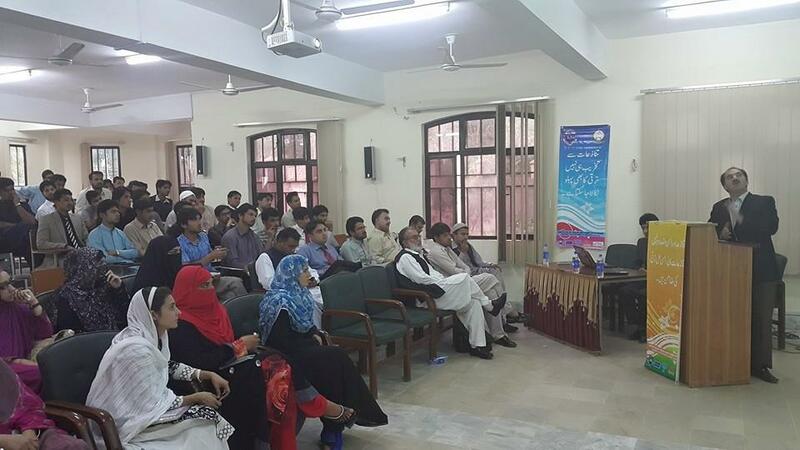 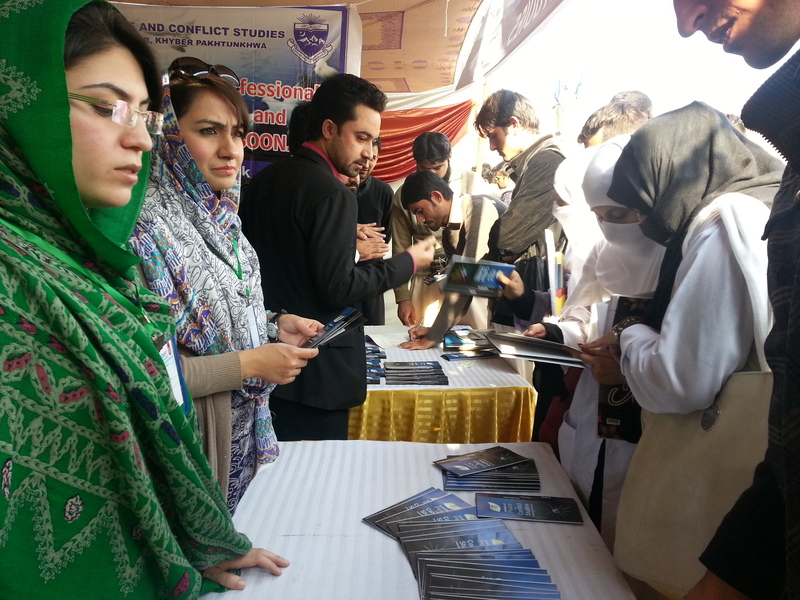 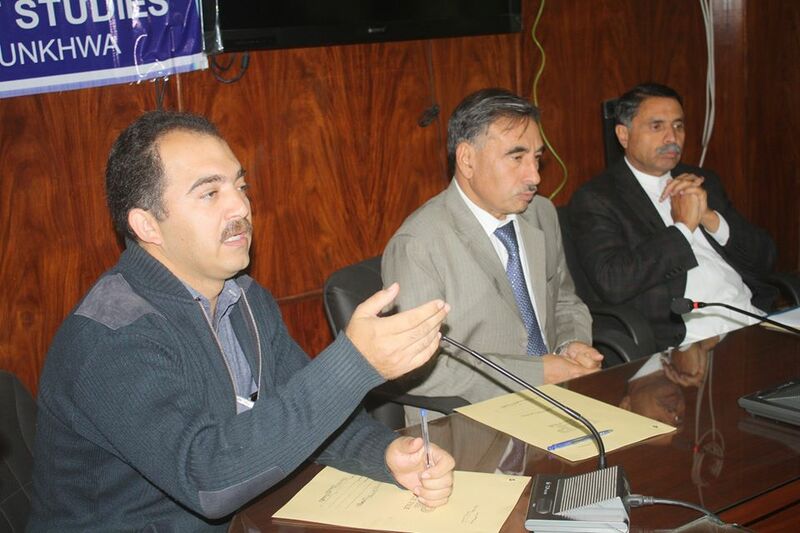 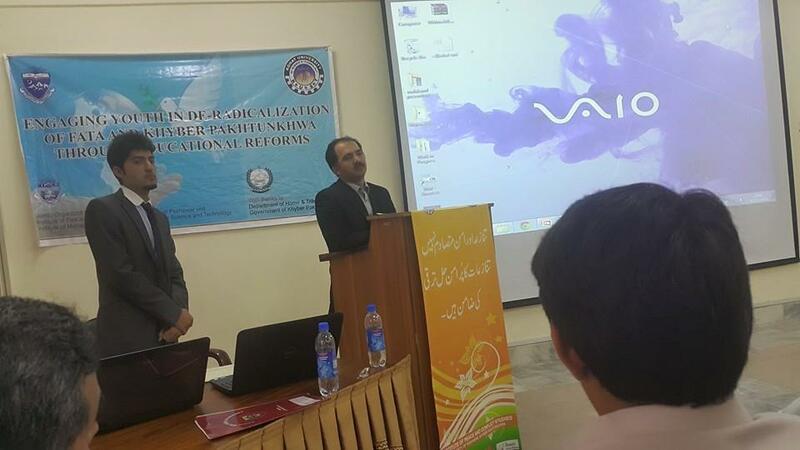 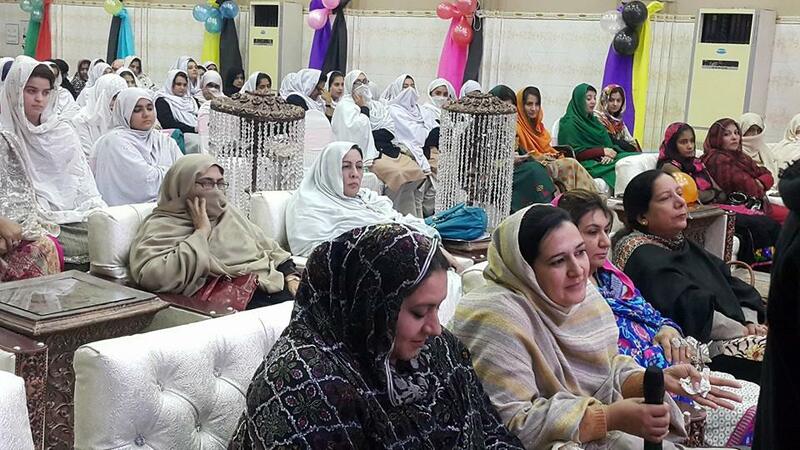 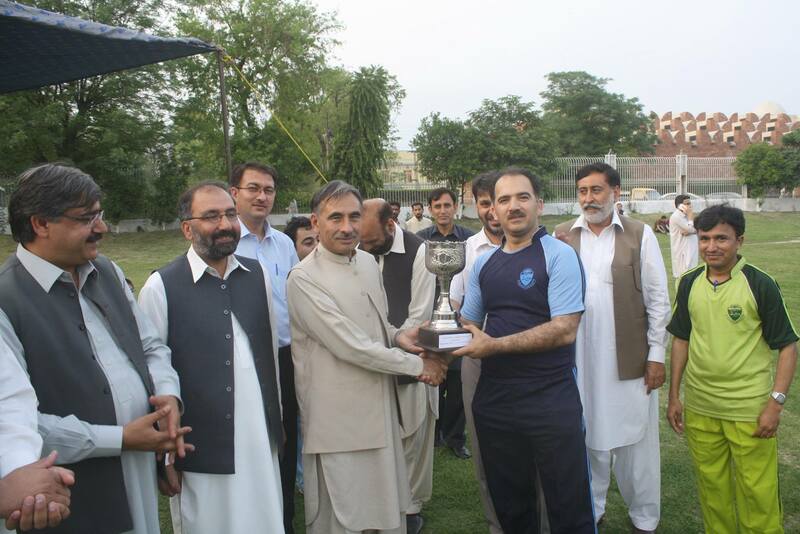 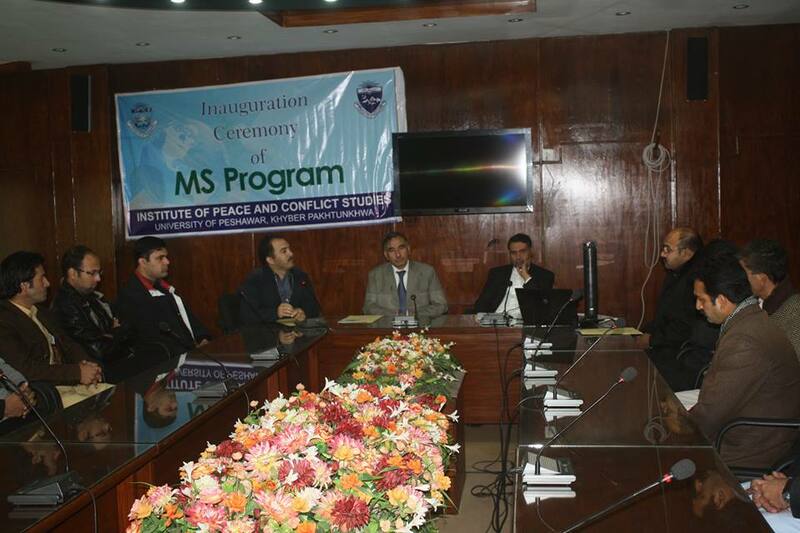 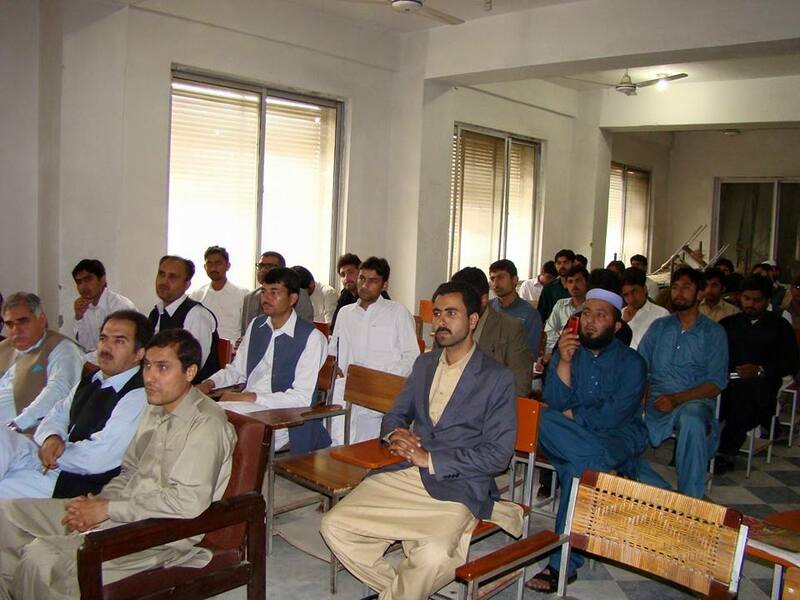 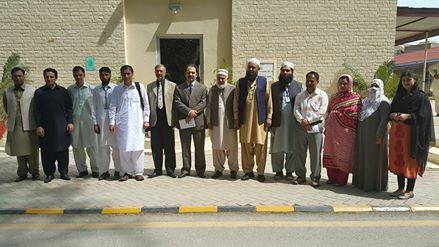 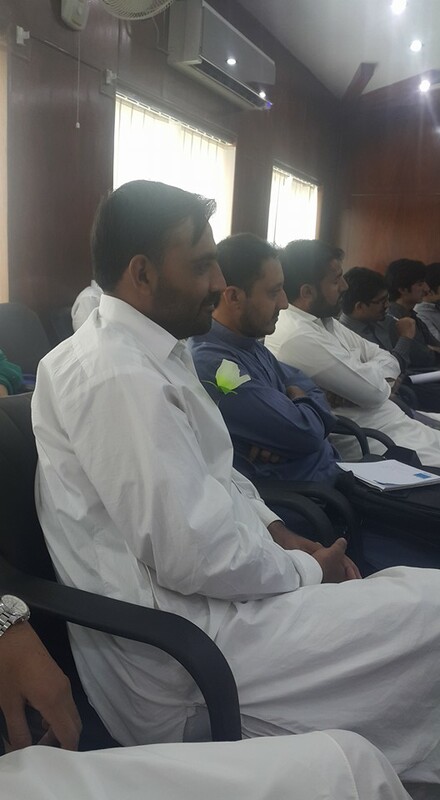 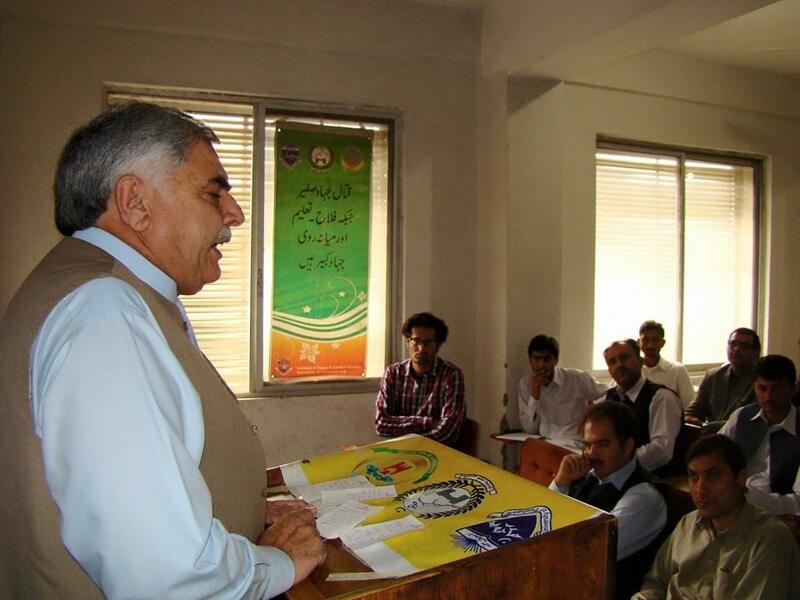 ... Seminar held at Kohat University of Science and technology. 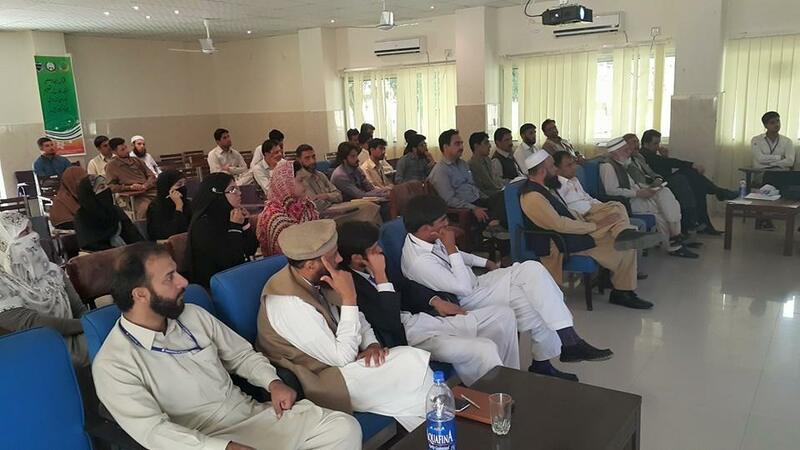 ....with special support of Ministry of Home and Tribal Affairs, KP Government for the 7 divisional seminars in public sector universities of KP.